Kitchen Volunteers Needed for Upcoming Shows ~ The Toronto Hare Krishna Temple! After a very cold winter, that special time of the year has arrived. With clear skies, sunshine and warm cool breezes greeting you, spring has arrived! With the warmer weather comes lots of opportunities to render service to our beautiful Deities, Sri Sri Radha Ksira Chora Gopinatha. For starters, the Toronto Hare Krishna Temple is participating in two very large conventions and shows where we serve 1000+ plates of prasadam (spiritualized, delicious vegetarian meals) for three days, nonstop. The first show is The Yoga Show and Conference, taking place at the Metro Toronto Convention Centre from April 10-12th, 2015 and is just around the corner! 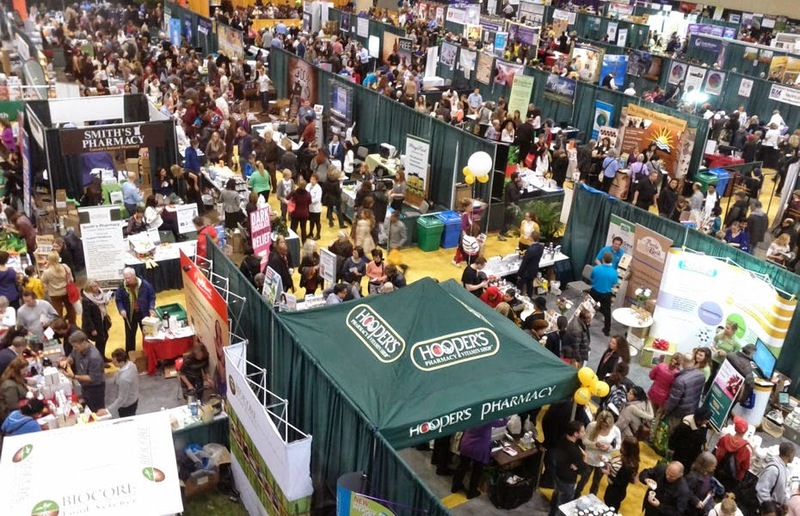 The next show is the Total Health Show, also taking place at the Metro Toronto Convention Centre from April 17-19th, 2015. These two weekends are going to be some of our busier weekends in temple kitchen! Over the years these shows and expos have been very successful and thousands of people of varying backgrounds come to visit our “Govinda’s” booth to taste sumptuous vegetarian delights! However, all of this success comes only with team work and hard work. Over the years, many volunteers have participated in this event in numerous ways. These massive shows require a lot of team work in the kitchen, doing intense but fun loving service. If you are interested in being one of the many volunteers and curious to know more about being part of this wonderful outreach program, please fill out the form below and we will be in touch with you very soon! You can also feel free to contact Kanaad Prabhu at (647) 299-9903 or by emailing him.